Nollywood news + Naija Gist | Yoruba movies, Naijagist, Nigerian music, Naija news, Nigerian movies: Family of late OJB Jezreel accuses 1st wife of stealing house. Family of late OJB Jezreel accuses 1st wife of stealing house. 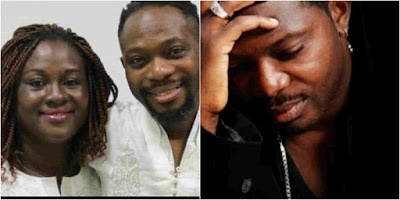 The family of late music guru, OJB Jezreel threw some allegations against the first wife of the late entertainer, Mabel. She was accused of stealing documents of properties the musician/producer left behind. "This house issue has been causing problems since OJB died. His family keeps accusing me of stealing the documents despite the fact that they all know the documents are with his lawyers. They’ve dragged me to court and used Police to arrest me several times. It’s really tiring".